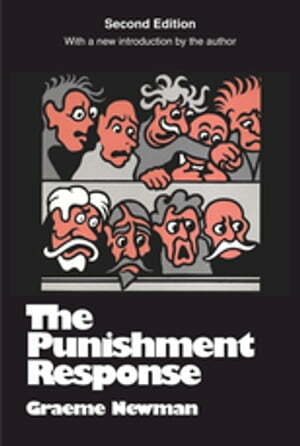 Collins Booksellers - The Punishment Response by Graeme Newman, 9781351475716. Buy this book online. Punishment occupies a central place in our lives and attitudes. We suffer a profound ambivalence about its moral consequences. Persons who have been punished or are liable to be punished have long objected to the legitimacy of punishment. We are all objects of punishment, yet we are also its users. Our ambivalence is so profound that not only do we punish others, but we punish ourselves as well. We view those who submit too willingly to punishment as obedient verging on the groveling coward, and we view those who resist punishment as disobedient, rebels. In The Punishment Response Graeme Newman describes the uses of punishment and how these uses change over time.Some argue that punishment promotes discrimination and divisiveness in society. Others claim that it is through punishment that order and legitimacy are upheld. It is important that punishment is understood as neither one nor the other; it is both. This point, simple though it seems, has never really been addressed. This is why Newman claims we wax and wane in our uses of punishment; why punishing institutions are clogged by bureaucracy; why the death penalty comes and goes like the tide.Graeme Newman emphasizes that punishment is a cultural process and also a mechanism of particular institutions, of which criminal law is but one. Because academic discussions of punishment have been confined to legalistic preoccupations, much of the policy and justification of punishment have been based on discussions of extreme cases. The use of punishment in the sphere of crime is an extreme unto itself, since crime is a minor aspect of daily life. The uses of punishment, and the moral justifications for punishment within the family and school have rarely been considered, certainly not to the exhaustive extent that criminal law has been in this outstanding work.